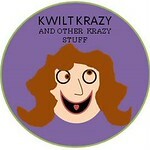 KWILT KRAZY: Queen for a Day! 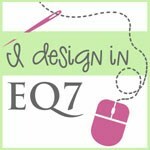 Well, maybe a princess :) This is my first blog hop, my first hexie project and my first giveaway! Hey, there is a first time for everything right? I guess today is the day. First I would like to thank the lovely Madame Samm and the wonderful cheering queen Debby Kratovil for this opportunity to share my little project. I was definitely nervous because there are so many incredible people out there with such great talent. You have to start somewhere so I thought now would be a good time. I looked and looked and finally decided to make a small wall hanging. 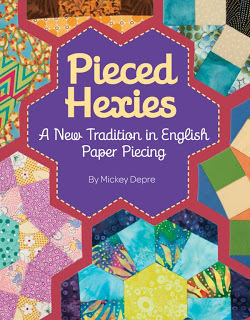 I bought Mickey Depre's book "Pieced Hexies"and also her class on Craftsy. I used my Cricut machine to cut out the hexie templates but I don't think it was quite accurate for this :/ I used them anyway but for future hexie's I will buy templates. In my previous post I discussed my bee and how I stitched and colored him. So, here it is...."Bee Creative"
Notice the bee is pointing at my Hexie flowers, he wants to show them off. I hand sewed the big hexie flower and the little pieced hexie flower. The neat thing about the pieced hexie is all the different designs you can make by twisting and turning the hexies. I liked the star pattern with this one. I appliqued the flowers to the background and then did some kind of echo free motion thing LOL...still learning the free motion but it is fun to play. Now for my drawing...this is open to everyone in the world!!! 7 funky fat quarters, some iron-off cleaner, and an Oval yo yo maker. Just leave me a quick comment telling me what your first Hexie project was. If you haven't done one yet just say hey. Please make sure I can reply to you! I will have my Random Husband, oops I mean I will have my husband pick a random number for me :) I will announce the winner on August 30th. I was having trouble with my comment box this morning and had to add one over to the side. Sorry about that, I have to run to work. Anyone that e-mailed me will be included in the giveaway.Until next time have a Kwilt Krazy week and don't forget to check out the rest of the Hexie Queens this week. You are too cute and so is your bee creative wall hanging. 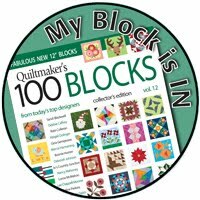 My first hexi project was a little doll quilt I made for my partner a couple of months ago and the rest were done for this blog hop. Thanks for the giveaway. I couldn't find the comment button anywhere and happened to click on the posting header and then I found this. So I don't know if others will have as hard a time as me and give up and not comment? Thought you should know. Okay now on to the hexies...your flower and bee are just darling. Your flowers are adorable! Loving the bee as well. I have never made hexies.... All the ideas and beautiful projects during this hop are getting me in the mood to try them... Soon! Cute bee hexie quitl. I've only made a few sample hexes - haven't finished any projects. Thanks. Your little bee hanging is really cute. Fun project! The bee is a perfect addition! My first hexie project was a table runner that I used on top of my daughter's dresser. Awww! I love the way the little bee came out. He is cute! 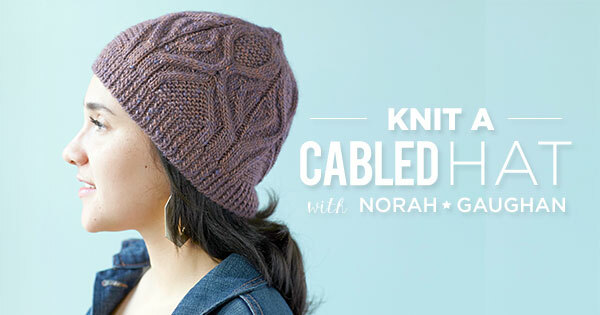 I still haven't started my hexie project, but it is on my list. Have a super day! Trying my first project right now. A EPP runner for my bookcase. I have not made a hexie quilt yet. Someday! Very cute. I think my first hexie project was to finish a Grandmother's Flower Garden quilt that my grandmother had started. Thanks for a great project. I love these hops and I tend to take a look at the other posts (at least those available on the current page). What a great idea to use coloring books and the paper in a tracing book. I used to love tracing books as a child - many eons ago. You are very, very creative and clever. I love how you tell about the cat starving - lol. I swear one of my two cats is bulimic - every time I feed them, he gets sick. He's a big boy, too! He weighs about 16 pounds. He doesn't lose weight, so I don't worry about him. He seems to panic if the bowl starts to get empty and he lets me know it and then he eats and gets sick. I feed them twice a week - a full, full bowl. My first and only hexie project is a WIP. I am currently working on a Grandmother's Flower Garden that is traditionally hand pieced. The hexies finish at 1" finished. Among my mother's things I found some blocks she had hand pieced. So, when I get done - some day, it will be a mother/daughter project. Thanks for participating and sharing your wonderful project with us. Great Hexie project. So cute! Love the bee. My first hexie project sadly is still unfinished, It is a Grandmother's Flower Garden quilt. Wow, I adore your pieced hexie flower! I am a huge fan of patterns within patterns. My first hexie project wasn't quilting, it was crocheting, but that's close, right? :) By the way, your Grease block looks awesome!! my hexie day is Wed. you will get to see my first project then. it is a mug rug. love your bee creative quilting. Your Bee Creative piece is wonderful. Great job on all of your firsts. 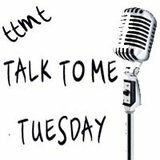 Be warned this Blog Hop thing is very addictive but boy does it help you grow and try things outside of your comfort zone. Love your hexie flower it is so cute. I have never made a hexie but after this hop I will certainly try them it seems you can do so many cute projects with them. Well, hey!! Nope, never done one even though I love the look. Your flowers are excellent and I like how the little one's center is the big one's petal. Bee is adorable. Superb! Your hexie flowers and bee is sew cute! Welcome to the blog hopping world. May this be your first of many! Love your Hexie flowers! The quilting is beautiful! Thank you for sharing your creation! I love your wall hanging. It is so cute!! The little bee adds the perfect touch. I love the star that the smaller flower makes. I need to try making hexies like that. Well I am not sure about what was my first hexie project. I have been a part of a blog swap and I have made over a hundred hexie flowers for other peoples gardens. Love your hexies. The bee is that little extra that makes it special. I have not worked with hexies, yet. Cute quilt especially like the quilting you did. Hmm. My first hexie was a tabletopper. Well, congratulations on your first hop! You did a wonderful job on your project. Several years ago I made an I spy quilt. The top is done and remains incomplete today. My goal is to get it quilted and bound before the end of the year! Sew many firsts and an adorable bee project too. I haven't made any hexies yet but after watching Mickey Depre's episode on the Quilt Show I want to try some of her pieced hexies. Hey. LOL. I have to say I'm loving your little bee and flower wall quilt. Thanks for the fun. I really like your Bee Creative! The echo free motion thing you did with it really looks nice! I haven't actually made a hexie project yet, but I've begun by buying a punch to make the little pieces to baste the material too. I've only got enough for two flowers made so far, but I'm getting there. Thanks for sharing and for the chance to win! So happy to share the blog hop day with you...love your flower hexies! I made a hexagon I Spy quilt for my kids when they were younger. Haven't seen it for a while...wonder where that thing is?!?! Your method for stitching the bee is great and your Bee Creative quilt is so cute! I'm going to see what I can find at the dollar store. My first hexie project was sewing some hexies to the back of a jean jacket. Thanks for a chance in your giveaway. Aw, your hanging is so cute! I cut some templates out on my Cricut too. I could never get my hexies to line up just right but thought it was just me! I threw everything in a bag and put it on the shelf out of frustration. Good to know it wasn't me!! Congrats on taking the plunge into blog hops. I love these things!! I haven't made a project yet but the more I am reading this blog I may just try it. You ladies are all so creative. Thank you for sharing. Love your hexi flowers and the bee is adorable. My first hexies were for this hop. Love the bee on your hexie project. My first hexie project was a table cloth. The hand sewing was ok, but I tried to machine quilt it, and it wasn't great. My first Hexi project was a skirt for an embroidered red work angel I was making as a wall hanging for my mother for Christmas. I used red and white Christmas fabrics and a 10mm hexi template and hand sewed them till they were big enough to cover the skirt part of the embroidery and then appliquéd them onto the embroidery with hand blanket stitch. She loved them which made it totally worth the hours working on the tiny tiny hexagons. Oh I love your bee - sew cute! My first project was the Union flag for this hop! talk about jumping in the deep end! Your bee and flowers are C U T E!!! Love them!! my first project was my Grandmother's Flower Garden, it is still in progress.. Very creative use of "plain" and pieced hexies! Pieced hexies are my current obsession. My first hexie project was a doll quilt with 12 hexie flowers...I don't think I have finished the quilting on that version but I've finished a second one. I haven't tried sewing any hexies yet. After this blog hop's inspiration, I will be sewing a hexie project!